Tips and tricks come at you when you least at expect them. Just last week, I was unwinding from a hard day of hacking food with an episode of the new Queer Eye, when food expert/T-shirt aficionado/new Ted Allen Antoni Porowski told whatever straight dude he was working on (they all blend together) that a little coconut oil would de-stink even the most garlicky hands. People love to recommend coconut oil for everything from making popcorn to shaving (it clogs my pores to be honest), so I was naturally suspicious, but cautiously hopeful. To see if Porowski was dishing the truth, I did what any normal person would do and rubbed a smashed garlic clove between my hands for a good minute. As anyone would guess, this did not make them smell good. 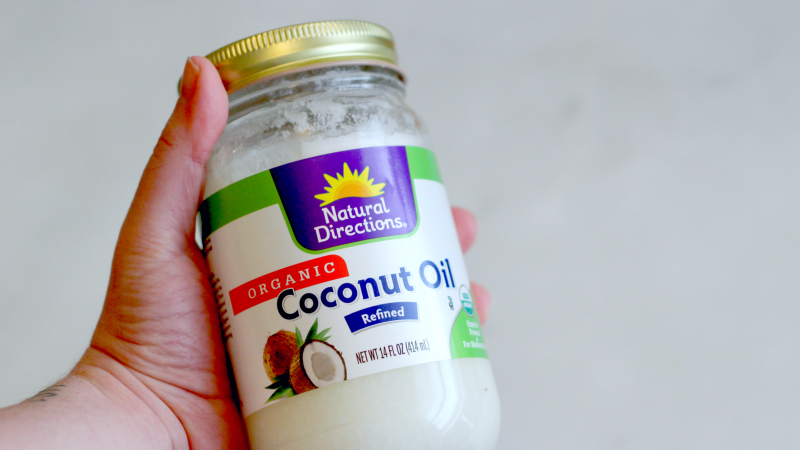 I then slathered my hands with the oil of the coconut - I used refined because it's what I had - rubbed it around for a bit, and washed it off with a bit of dish soap. I then dried them, held my hands to may face, and inhaled deeply. Not only did they not smell of garlic (or coconut) even a little, but my hands were nicely moisturised, ready to conquer their next task.